Pakistan is likely to miss exports target of mangoes for second consecutive year as the country has only exported 73000 tons of 150,000 tons target of the fruit so far. Exporters of mango could only export the fruit worth only $27 million in two months which is only 50 percent of the targeted 66 percent exports. Pakistan Fruit and Vegetable Exporters Co-chairman Waheed Ahmed said only 25,000 tons of exports are estimated during the remaining season which would be closed by September, reducing the exports by approximately 0.1 million tons against the target. He said the logistical issues at shipping companies and Pakistan International Airlines (PIA) were the major hindrances the exporters faced this year which remained unresolved despite repeated and timely complains. Non-availability of pallets and containers and off-loadings at PIA have also caused reduction in exports by 30 percent. PIA flights offload consignments at various airports without any justification which also resulted in cancellation of orders. In addition, 100 percent examination of consignments at ports by Anti-Narcotics Force (ANF) also caused not only delays in shipments but also affected the quality of exportable fruits resulting cancellation of import orders. Shipping companies left already booked consignments at ports several times while a shipping firm even left for Masqat carrying huge quantity of fruits booked for Dubai port. Beside the logistic issues, Pakistani exports of fruit has also lost a lucrative Iran market, where at least 30,000 tons of mango were being exported previously, as a result of trade embargo imposed by United Nations on Tehran resulting in loss to the exporters worth $10 million. Exports to United States and Japan also remained low in the absence of VHT plant and radiation facilities. 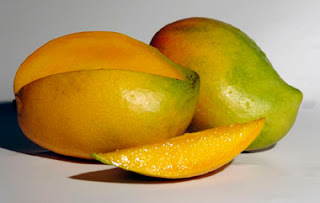 On the other hand, the minimal exports has provided the local markets with excess mango which is bringing its prices down in comparison with the prices of other fruits which have hiked during Ramzan.